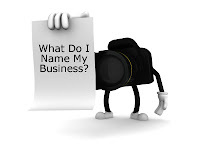 One of the most common ways of selecting a company name is to use something personal. A quick look through your local newspaper will probably introduce you to many personalised business names. Johnson Consulting Limited, T Smith & Son Limited, Stephens & Barley Limited are some fictional examples of what may be found. This may instantly make a company recognisable locally, it can be deemed as more personal by its customers, and often works well within geographical areas. However, it does little to tell new customers what your company does. A popular choice for a small business is to choose a name that is ‘descriptive’. This tells prospective clients exactly what your company does. Examples of this may be to call your business The Window Company Limited, City IT Consultants Limited or The Advertising Agency Limited. Whilst this does serve to reinforce your primary business it offers little differentiation and may easily be adapted by competitors. A less personal option is to use a company name that is ‘associative’. This type of company name helps to create an image or connection to your business activity. It is less direct than using a descriptive name but helps to position your company’s name within the market through peoples understanding of what words mean. For example a flick through the Yellow Pages will offer plenty of examples of this. A hairdresser called Classic Cuts or a printer called Selectaprint Limited are examples of what may be found. These names offer some differentiation but may not ultimately set your company aside from its competitors. An alternative is to choose a company name that is ‘freestanding’. These names are completely abstract and not related to the companies business activities. A fictional example may be to call your catering company Zedoc Limited. There are many popular brand names that illustrate this point. Consider, Kodak, Gillette, or Mars, these names will probably be instantly recognisable to you and conjure up a particular product or business. This is a good way of setting your company aside from the competition but it is important to consider the market that you operate in. Will your prospective clients know what your business is offering? Choosing a company name may be a simple process, but it is not uncommon for people to deliberate over names for quite some time. Whilst company names can, and often are, changed during the life of the company most people like to choose a name that they like from the outset. Therefore consider your market, how much you want to differentiate from your competitors and what your company name should say about your organisation. Once the decision is made focus on the important business of making your company a success.